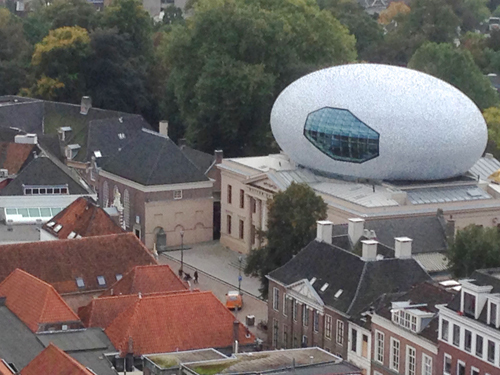 Church is just to the left of the egg. Anglican Church Zwolle is a vibrant community of English-speaking Christians who have been meeting in Zwolle for more than 50 years. We are part of the Utrecht chaplaincy in the Anglican Diocese in Europe and receive ministry from the Chaplain at Holy Trinity. We extend a warm welcome to all people to join us for worship and friendly fellowship. 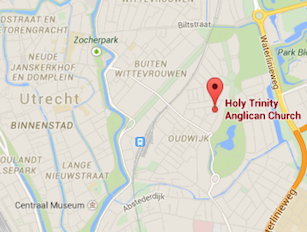 Our services are held on the 1st and 3rd Sunday of each month at 16.00 in the Lutherse Kerk, Koestraat 2-4 in Zwolle (see map below). In July and August there is only a service on the 1st Sunday. Free parking for the service is available at the back entrance of the church from Potgietersingel. Our services follow a straightforward liturgy (1st Sunday: Holy Communion and 3rd Sunday: Evening Prayer) with preaching that gives clear food for thought. Fellowship is a key element of our church life and after each service there is plenty of opportunity to meet and chat in the coffee room. If you would like to know more please visit the church website. In 2012 we celebrated our 50th anniversary, with a special meal after the service on April 22nd. 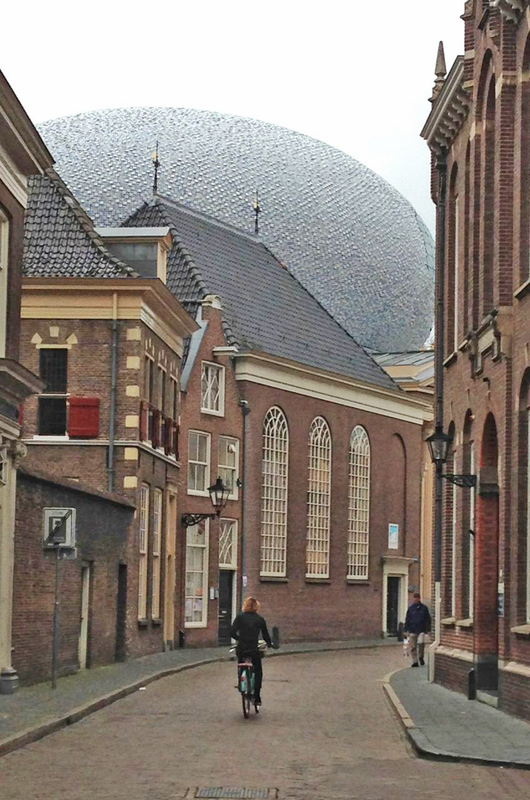 There are still one or two members of the Zwolle congregation who remember the start of the church here. Ruth van den Berg is one of them. She and her husband came to live in Hattem in about 1950 and joined the English Club there. By around 1960 there was a group of English people locally wanting a service, and so they wrote to the chaplaincy at The Hague. With the active support of the Lutheran minister in Zwolle it was arranged that the Chaplain from Utrecht should come and take a monthly Communion service in the Lutheran church on a Thursday evening. These services started sometime in 1962 – 50 years ago. Eventually services were held in the Lutheran church on the first Sunday of the month at 6pm. Douglas Beukes faithfully took these services from 1962 until he retired in 1990. Subsequent Chaplains in Utrecht took this ministry over and were hugely helped over many years by Christopher Rigg our Lay Reader until he retired in 2009. The church in Zwolle still meets in the Lutheran church, but now meets twice a month at 4 pm and has a congregation of around 30 people. 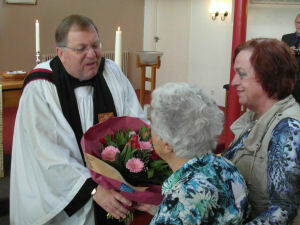 On Sunday 22 April 2012 we held a special service to mark 50 years of the church in Zwolle. Guest of honour was Ruth van den Berg, one of the founding members. John de Wit presented her with a bunch of flowers at the end of the service. 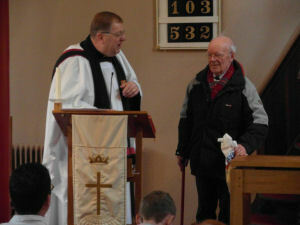 We were also honoured to have the Lutheran minister who gave us permission to use the Lutheran church 50 years ago. He was invited to the front of the church at the end of the servicer to say a few words and he presented the church with a special candle. 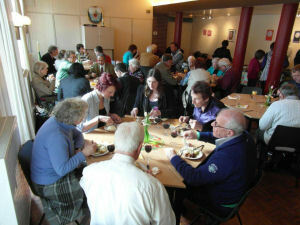 After the service was over we had a meal together in the church hall to which over 40 members of the congregation came.